Mask of Evil is a 1984 Masters of the Universe children’s book by John Hughes and Al McWilliams. Here, Prince Adam’s friend Lady Irena visits the Royal Palace, but soon begins to behave strangely. Here, Orko’s helping/screwing things up, Skeletor’s not trying to get into Castle Grayskull, and He-Man’s solving problems without necessarily punching things - Mask of Evil really has the feel of a Filmation episode. It all works pretty well, even if Skeletor hasn't really thought through his plan very thoroughly. As in his previous MOTU work (Caverns of Fear), McWilliams’ art has its ups and downs. This time, everything is done in full Filmation style (interestingly, Filmation Teela puts on her snake-head armor for combat - works for me). The characters have reasonably realistic musculatures, but McWilliams has trouble with some of the faces - Skeletor is goofy looking in every panel in which he appears, and Prince Adam/He-Man often looks like he’s fifty years old. Additionally, the coloring work is shoddy and, while Earl Norem’s cover looks great, it’s also a big spoiler (so is the title page). 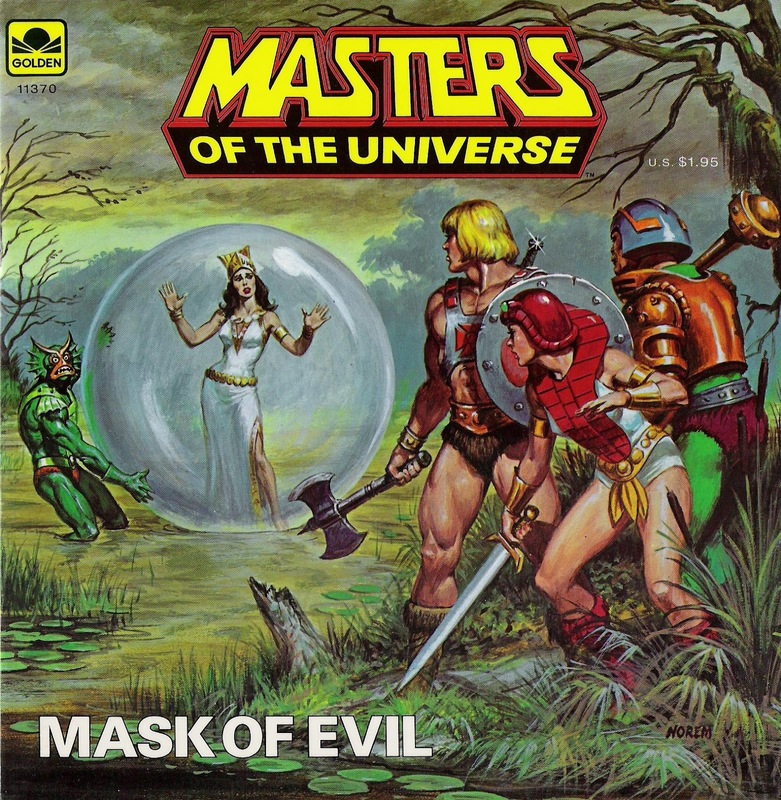 In spite of its shortcomings, Mask of Evil is a nice little He-Man story.